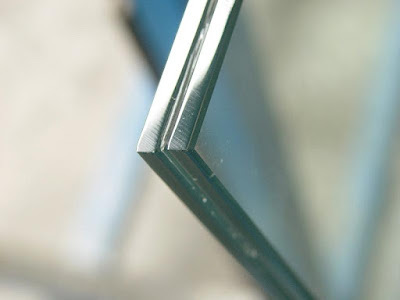 Custom Laminated glass is a combination of two or more glass sheets with one or more inter-layers of resin. 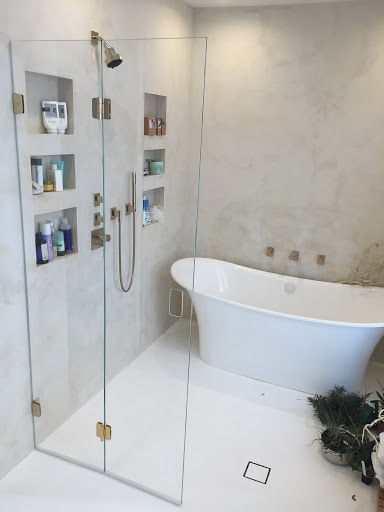 It is manufactured in the hands of experienced workers of Giovani Glass by pouring liquid resin into the cavity between two sheets of glass which are held together until the resin cures. In case of breakage, the interlayer holds the fragments together and continues to provide resistance to the passage of persons or objects. 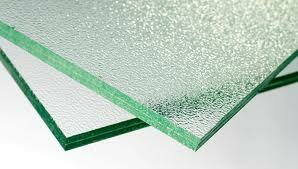 Laminated glass is considered to be safety glass under the various building codes and international glass standards. Our specialists are capable of producing a wide range of colors in addition to laminating various materials such as fabrics,naturals, metals and graphics between two (or more) lites of glass. 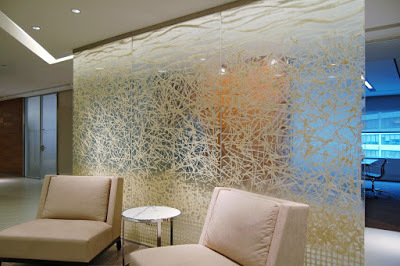 Custom laminated glass is available in variety of patterns and colors. Customized looks can be created with inlays. 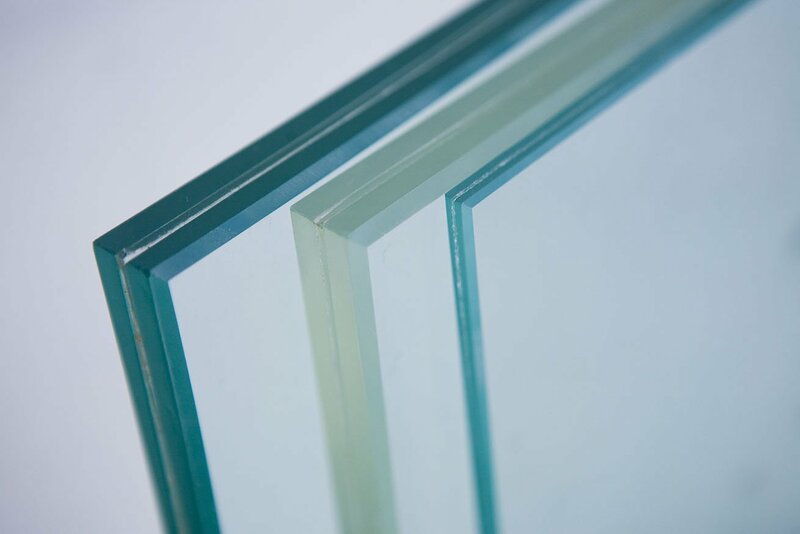 Color laminated glass is an almost inexhaustible range of Custom colored laminated glasses, comprising at least two sheets of glass bonded together with a colored plastic interlayer. Using any combination of the basic color films, virtually any color either translucent or transparent can be created.